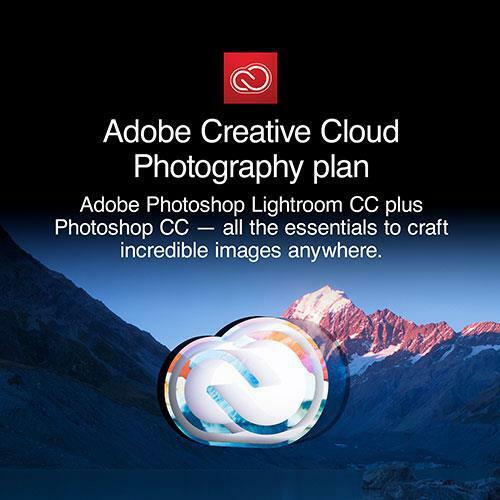 Capture the moment and make it your own with the Creative Cloud Photography plan. Perfect for your photography, whether you’re a beginner or pro. Organize, edit, enhance and transform your photos on any device anytime, anywhere. Sync everything across all your devices to have all of your photography, all in one place. Lightroom: All your photography, all in one place. Organise, edit and share your photos from anywhere—on your computer, on the web, or on your mobile devices. Photoshop: A complete set of tools for transforming your photographs. Combine and retouch photos and create stunning visual effects. Photoshop Mix: Cut out and combine images on the go. Adobe Spark: Transform your ideas into stunning graphics, web pages, and animated videos – in minutes. No design experience needed. Training: Fast and easy in-app tips to get you started and online tutorials and videos to help you master new tools and techniques. Access to new features and updates as soon as they’re available.